Argo Swim Video has been working recently with two-time Olympian Chloe Sutton and other champion swimmers to provide high-quality footage for the online video training series of the Fitter & Faster Swim Tour. Check out the video below for crystal-clear, smooth footage of some champion swimmers in action! The Fitter and Faster Swim Tour started in 2009, and since that time, they have produced in excess of 1,000 clinics in 40 states and Canada. More than 125,000 swimmers, parents and coaches have attended FFT clinics. 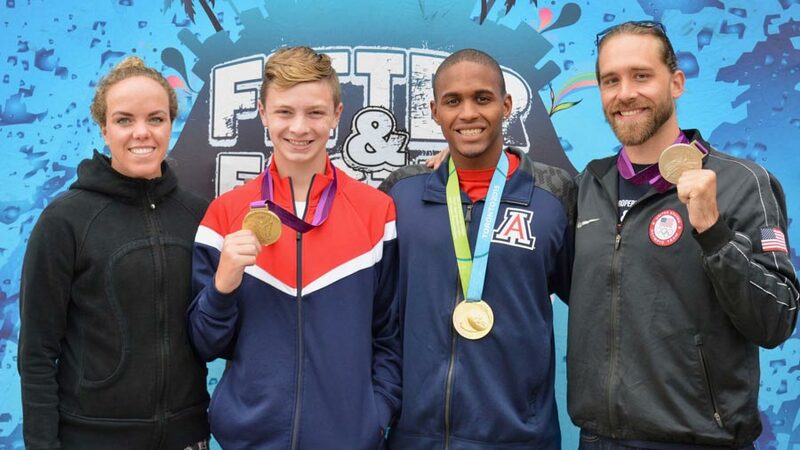 Almost 100 elite level swimmers—including 50+ Olympians & Paralympians who won more than 100 Olympic & Paralympic medals—have led Fitter and Faster clinics. Swim Videos on Demand (swimvideos.net) enables Fitter and Faster to serve a greater number of competitive swimmers and coaches worldwide. Prior to their on-demand streaming service, the “Swim Like a Champion” DVD series was the winner of two Telly Awards, including the prestigious Silver Award. In the most recent production series, Fitter and Faster has partnered with Argo Swim Video to provide the technical skill, videography expertise, and swimming experience that makes for a stunning presentation. The result is video that clearly and effectively communicates swimming concepts to developing swimmers in a way that translates into real learning and gets powerful results. For more information about the Fitter and Faster Swim Tour video series, visit swimvideos.net.